WBT has continued to produce connectors specifically for the high-end audio industry over the last 20+ years. The product line has expanded from the first RCA type plug to include male and female RCA type connectors, binding posts, banana plugs and spade lugs with functionally unique features that truly elevate them to the top. WBT products are very popular with audio cable and equipment manufacturers worldwide and can be found as standard equipment on many well respected brands. Additionally, WBT currently holds more than 20 patents pertaining to audio connectors. 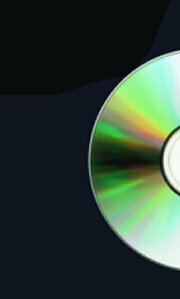 The WBT catalogue is available here. Click here for the latest newsletter. We have the pleasure to announce that WBT has won an award for their nextgenTM series! One award? No! They have won three! WBT had the privilege of receiving both the Plus X Award - Innovation and the Plus X Award - High Quality for their nextgenTM series as well the Plus X Award - Design for their nextgenTM banana plug WBT-0610. Not bad for such small item! The Plus X Award is awarded to exceptionally innovative products in the industry. 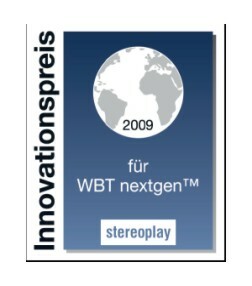 The WBT nextgenTM series have also won the STEREOPLAY 2009 (Germany) award for innovation!